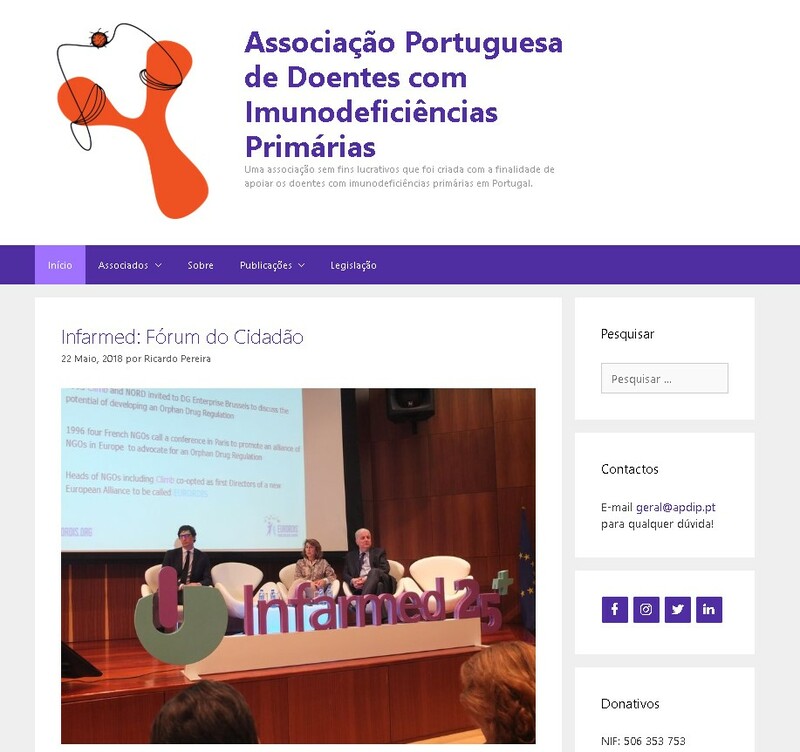 APDIP (Associação Portuguesa de Doentes com Imunodeficiências Primárias), IPOPI’s NMO in Portugal, recently renewed their website. It now has a more modern look and an improved content organisation making it easier for users to find specific information. APDIP wants to generate more interactions through the website and is making it easier to share patient experiences and information. The Portuguese national patient group believes it will make a positive difference in raising awareness and spreading the recent news about PIDs in Portugal.